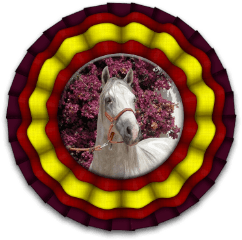 The years of economic crisis in Spain have caused a great change in the availability of PRE – Spanish Pure Breed – horses for sale . Many breeders have gone out of business for various reasons. The elder generation of breeders have not been able to adapt their production to the demands of the present market regarding the ever increasing requirements of the pre purchase veterinary examinations, the desired characteristics of dressage type movement and current training and horse management methods. It is very difficult to turn a traditional breeding farm into a financially viable enterprise. Only few new breeders are bold, wealthy and knowledgeable enough to have taken on the challenge. The result is that the production of Andalusian horses has decreased while the demand for Spanish horses suitable for FEI / British dressage has increased. The type of horse that the average often not so young client requires is not of the traditional baroque type . It was not that along ago that the more the horse would wing / dish the better , as the Spanish horses were used for parades and riding out. Although this characteristic is not desirable anymore, many horses will still have a tendancy to show such a marked movement which is not easily eliminated in breeding within a few generations. Most clients are looking for a comfortable horse that is easy to sit, has a great temperament and sweet disposition, which are typical characteristics of the PRE – Spanish Pure Breed horses . But at the same time horses are required to be forward going, expressive and competitive in the ring even when competing against warmblood horses. Their ideal horse is perfectly trained and automatic to ride even for the less skilled rider . Rest assured that at all times Miriam Frenk will try to find the perfect horses for you to consider while trying to match the required characteristics with the rider’s needs.. There are very few horses that fall in the above mentioned category . Confirmed level 4 , PSG , or GP trained horses suitable for the amateur rider are very rare – so it is possible that clients may need to adjust their requirements regarding training level, colour (! ), gender , height , age and price to the actual availability of Spanish dressage horses. If you have a good trainer at home , a good option may be to buy an Iberian dressage horse with suitable movements but without confirmed flying changes . Choosing this route would provide a much wider choice of horses and would enable you to develop together with your horse under the guidance of your trainer. Do not expect to find a huge number of potential candidates to view when you travel to Spain . It is not advisable to just travel around trying to find the right horse . Set up your itinerary beforehand with the help from a reputable broker . Even if you just find one or two horses that seem to be the perfect match, it is worthwhile to travel immediately! In the case of viewing a very limited number of horses, it is advisable to have a pre purchase examination carried out and have the necessary blood tests performed ( if such are required for importing into your country) prior to booking your trip, in order to know that these horses are suitable for purchase . Given the scarcity of high quality and trained Spanish Pure Breed / Andalusian dressage horses available , you are much better off using the services of a specialized broker . Keep in mind that most brokers in Spain will have the same horses to offer and that they are in close and continuous contact with colleagues, studfarms and trainers. Once you have found a person you feel comfortable to work with in terms of reputation, communication and professionality, then avoid making travel arrangements with several brokers. In our case you can indicate the horses you have found on the internet and we shall then contact the studfarms and persons you mentioned and coordinate the visits for you. It is very important that your broker is or becomes familiar with the background and history of the horses you are considering and also confirms their temperament and suitability for you as a rider. This ensures that your interests come first – instead of creating an unproductive competition among sellers which could result in you viewing, riding or purchasing a horse that is not the right one for you! Do not expect the training methods and horse management process in every region of Spain to be of the same level you are used to at home. In some areas you will find that Spanish dressage trainers will show you the horses in a manner that you are acquainted with, but in other regions – specifically in the South of the country , there is a different equestrian culture. Try to look through these differences and assess whether the horse is suitable for your purpose . Spain is a large country and suitable horses might be located in distant areas . The high velocity train system makes traveling to most regions very easy so be open minded as to visiting various regions of the country even if you have limited time available. When choosing a veterinary surgeon in your country to check the radiographs and vet report for you, make sure it is either the vet your normally work with (so you are a regular client for him/her ), or a person who is used to the characteristics of the Andalusian horse and knowledgeable in reading X rays. The conformation of the Spanish horse ( with often rather narrow feet and high heels by nature ) and the way they are raised on hard ground as there are very few green fields in our country – can result in small findings appearing on the radiographs that you might not come accross that often in the warmblood sport horse’s X-Rays . It would be a shame to eliminate an otherwise highly suitable horse for these reasons when these will not impact the use of the horse for your purposes..
On another note – when looking for your Spanish dressage horse – be sure to inform the broker of your age, your riding experience and possible physical limitations (fitness, hip, back or weight issues for example ) . It is not uncommon for clients to select with an expert eye , the best moving , most energetic horses but once they come to meet these horses they do not result to be a suitable match for the rider. Enjoy viewing all the videos , but make sure your selection is realistic and in accordance with your needs . If in doubt Miriam Frenk can advise you of course, based on her long standing experience with matching the right horse and rider pair.. The importing process can seem a bit complicated at first sight , but we take care of the coordination so it is really straightforward. Please contact us for guidelines and specific information. If you would like to receive first hand information from other clients that have purchased Andalusian dressage horses recently , it will be a pleasure to put you into contact with these persons. Please note that not all PRE – Spanish Pure Breed dressage horses that we source are shown on our website – miriamfrenk.net/catalogue , so do not hesitate to contact us with your requirements and we shall send you the links to the videos of both listed and unlisted horses that could be of interest to you . Miriam Frenk looks forward to assist you in your search for a Spanish dressage horse – Feel free to contact us by e mail to miriam@miriamfrenk.net or frenk@gmail.com or through our enquiry form on the website .